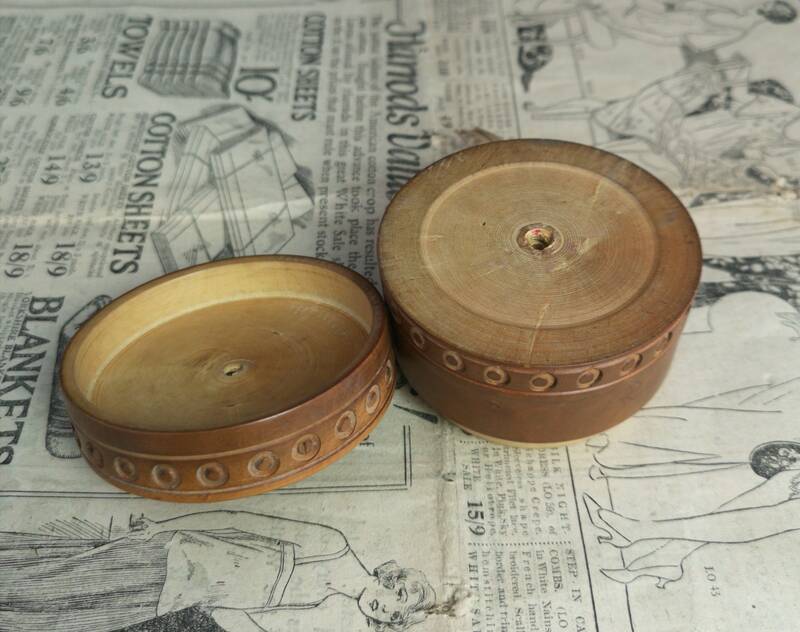 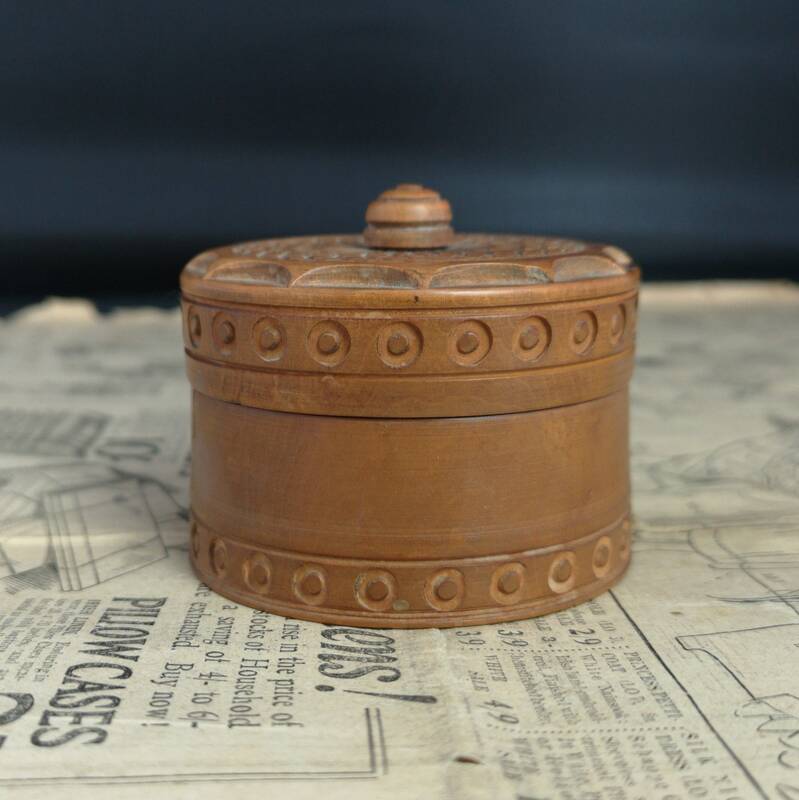 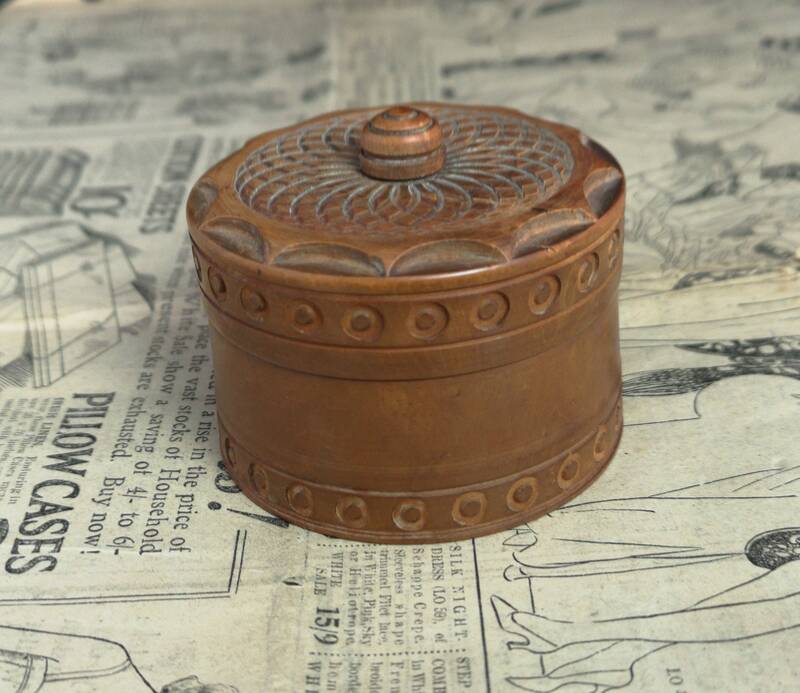 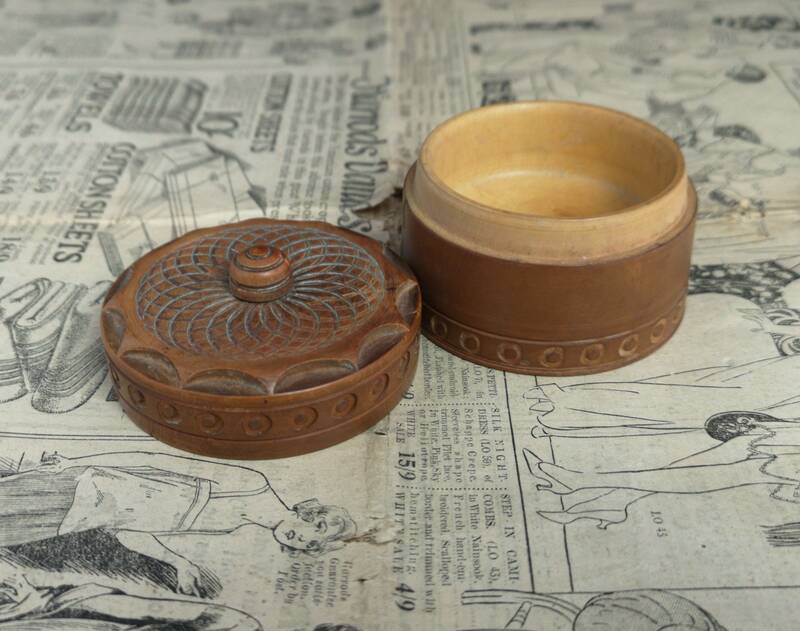 A rustic carved small Indian wooden trinket pot. 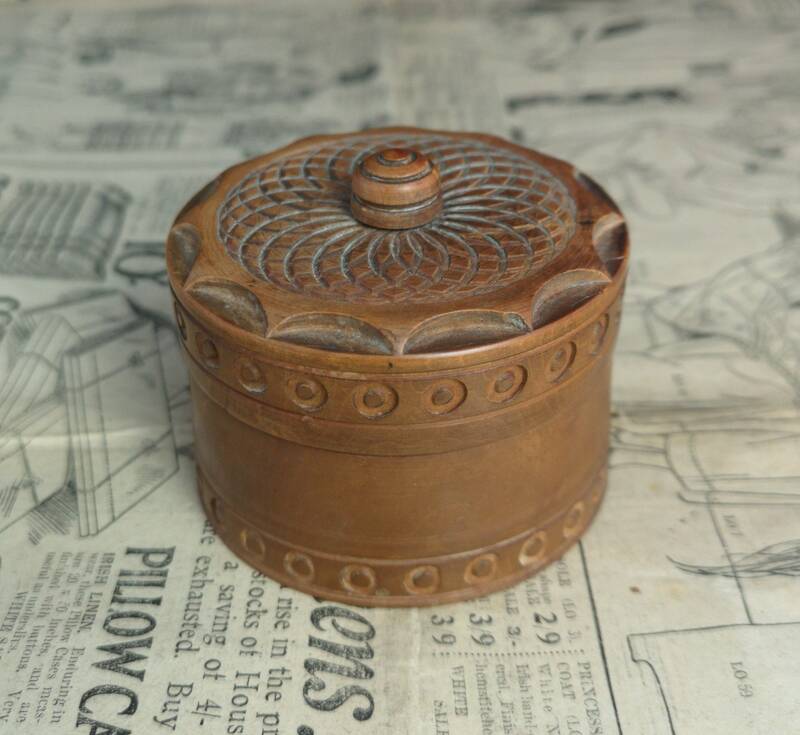 It has some wear to it, and a little aged patina. 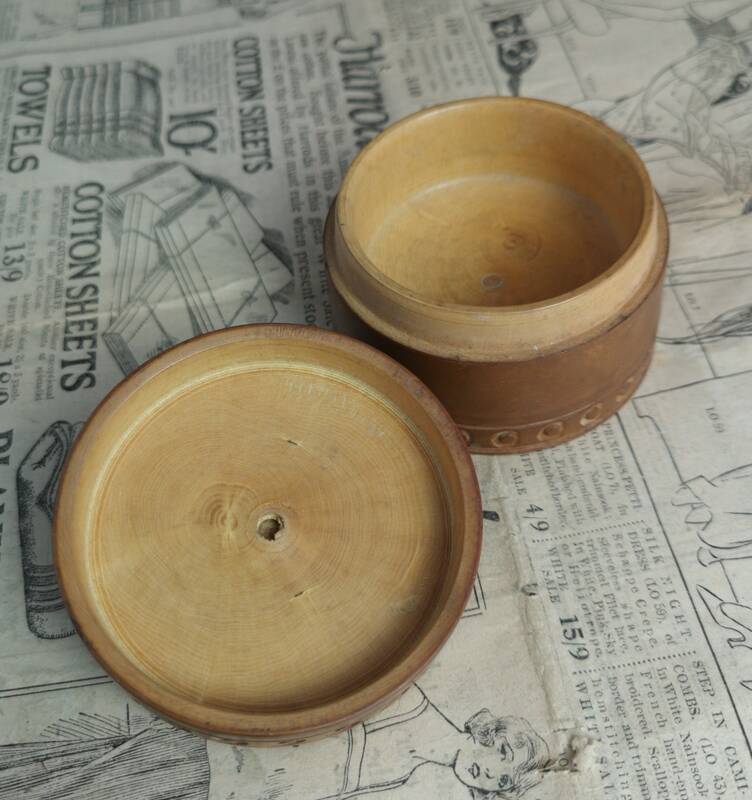 Approx 2.5" height and 2.5" diameter at the base.